More Has Been Accomplished, Despite – You Got It – Rain. So here I sit under my new tarp tent, which only took two hours to erect, lol. After several glorious days of sunshine and 50-ish degrees, we’re back to rain, drizzle, mist, rain, downpours….yeah. Out of desperation, I searched online for pop-up tents, and hoo-boy, are they expensive! And the buyers’ reviews don’t look promising, either. As I was up feeding the rabbit colony, I looked around and noticed all the tarps I’d already put up to keep various things dryish. Hey! Oh yeah! I forgot about those! Actually, I also dislike how ugly they are, but I can’t deny that they do help. Tarps are your friend. Your ugly, obnoxious, yet helpful friend. I’ve been busy working on the barn wood. It’s in such bad shape – dry rot in places, tons of nail holes, cracks and knots. I won’t be using it on the exterior of Oliver’s Nest. It’ll be new wood (bummer) and metal siding. However, I think there’s enough after cutting off the bad bits for the interior walls! I sure hope so, as I want to use reclaimed materials as much as I can. Plus, it has a LOT of character. I’m thinking to use a strong wood glue and small nails to attach the boards to a half-inch plywood base. That should give a nice, sturdy wall with a nice cabiny feel. Yay! Speaking of nail holes, wow, it’s been taking days to get all the nails out! So far, I’ve accumulated two 5 gallon buckets full of nails, and the job isn’t done yet. Phew! The nails…the nails… oy, the nails…. This is only part of the big pile of barn wood to go through. Merrily I burn the junk wood that’s accumulated over several years! 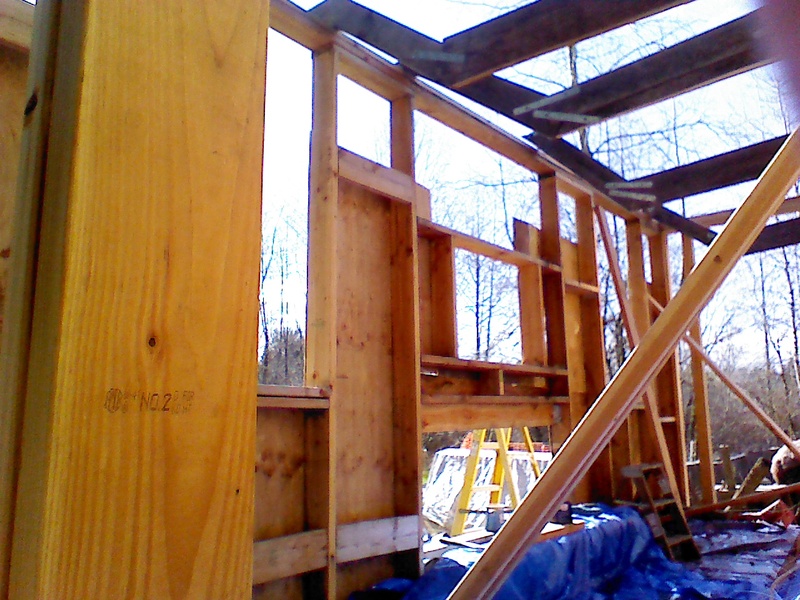 Here’s a quick shot of some of the sheathing. There are lots of big holes because there will be lots of windows on this side (faces South). Also visible are those metal straps I want to salvage. Hank the cowdog. My faithful companion. 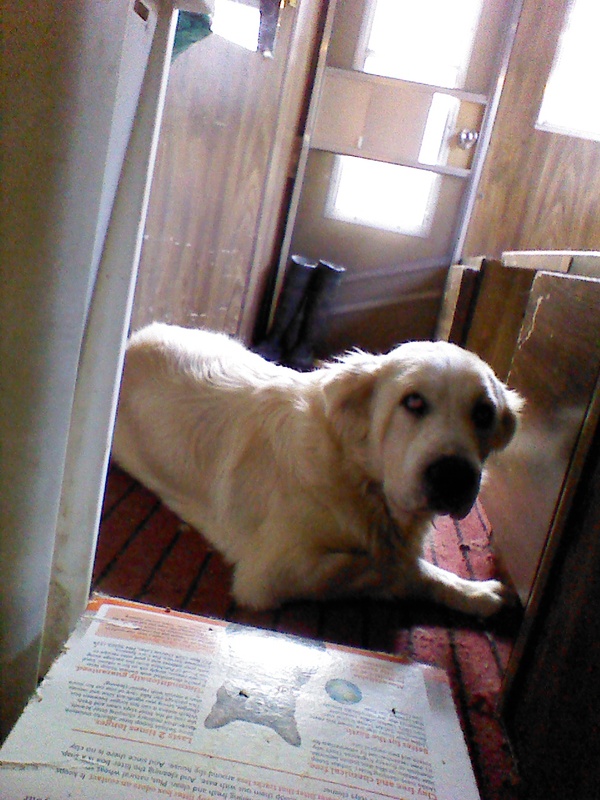 He can’t wait for the new house to be built, as our tiny camper is TINY. Sunny Days Are Here (again)! It’s been gorgeous out the last few days, sunny with blue skies, temps in the 50’s….perfect weather for moving forward on Oliver’s Nest. Been removing those problem trusses – finally. It’s such a relief. All but the last two are off, and I plan to tackle them today, along with starting to put up sheathing on the sides. Woohoo! I wish I’d remembered to take some pictures of “before” and “after” the truss removal, but I’ve only got the distance shots of them up, nothing showing the (probably) overdone way I’d attached them. Nails, screws, plus hurricane straps on both sides…it’s a lot of metal to get through. My trusty cordless Makita Sawzall comes through again – it’s a heavy beast of a tool, but with the right blade it’ll cut through just about anything! So, not only have I made progress on the house, but I’ve been getting an upper body workout, too, heh. Hey, and a big thank you to Lone Stranger for your suggestion of drilling pilot holes to rein in those wayward screws. It really helped! All finished with those as of yesterday. I can’t believe the walls are finally going to get some sheathing on…it’s a big step, visually. 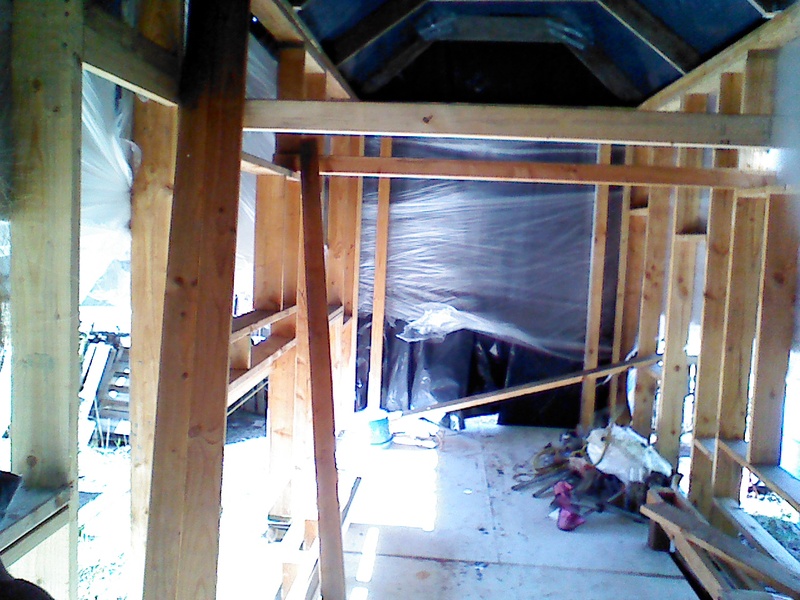 So, let’s see: sheathing, then the loft, then the pony walls, then the new roof beams. With weather in my favor, I’m hoping to get all that finished up by the end of March. Yeah, I know, the rain will come back soon. But a girl can dream, can’t she? After posting those interior sketches a few days ago, it struck me that I didn’t want a bathtub in my kitchen. If it had remained a stock tank*, that would be ok, but not a “real” bath tub. Yes, I’m going to have an actual real live bathtub in my house! It’s 24″ by 40″ and is deeper than that stock tank. It fits perfectly. Don’t bother wondering why a big, black, rubber tub would be more acceptable to me in the kitchen – I’m just odd like that. Anyway, with the decision to go with a real tub, I needed to revisit my original plan to have a separated bathroom area. The problem I’d previously run into was how to get into the loft area without using a ladder. I really don’t want a ladder. It isn’t attractive, it requires more dexterity than I command in the middle of the night, and my cats wouldn’t like using it. Can’t sleep without the kitties, you know. 🙂 The only way I’d devised meant moving the bathing area forward to the kitchen…. I think what I’ve come up with is terrific. It’s hard to see how it works on the sketch, but basically, each step will have a rise and run of one foot, and be between one and a half and two feet wide. So, steep but totally useable. The stair will sort of twist around so you do a 180 when climbing. The space below each step can be used to store things, and I’m really excited about having a utility closet under the highest step! There is still plenty of storage all over the place. I like the flow of this plan. I like that I’ll be able to separate the bathing/closet area off from the kitchen and lounge area. I like that nothing obstructs any of the windows. I like that I can have a sink at a useful height in the kitchen. See that open space under the counter by the sink on the South side? 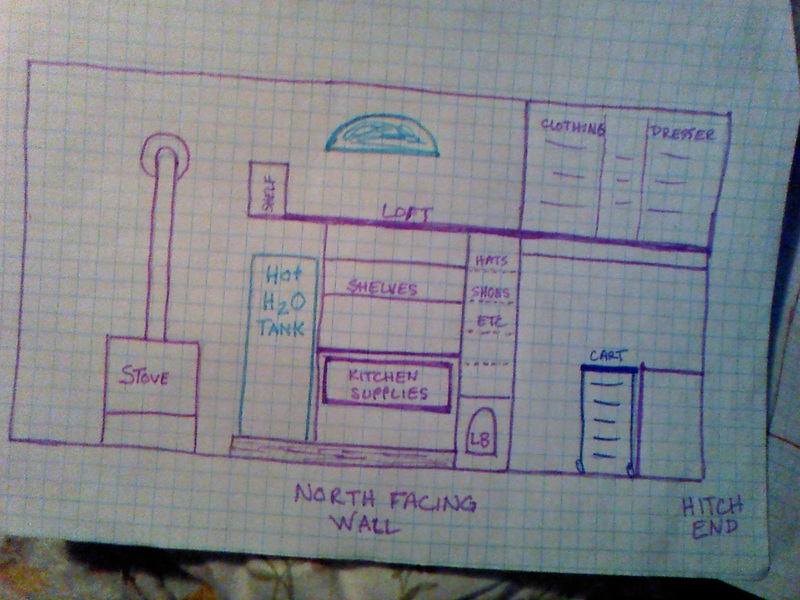 I’ll wall off that area for the batteries, inverter, and whatever else needed for a solar power setup. Access to it from the outside. The cats’ litter box will have it’s own home in an alcove of the 7 foot wide closet. Above it, accessible from inside the closet, will be shelves for my motorcycle gear, shoes, and whatnot. The rolling cart can live by the lower clothing bar, and has a handy butcher block top, and lots of pull-out shelving to hold random stuff for the kitchen. I should mention that there will be a separate bathroom built outside, with a sawdust toilet and shower. Therefor, I have no built-in space for a toilet in Oliver’s Nest. If there’s need, I can bring a sawdust toilet inside with a Luggable Loo and store it under the stairs. I currently live with an outhouse, no toilet inside, so I’m used to it and it’s been no problem at all. Thought I’d throw in a current picture of Oliver’s Nest, and of dorky ol’ me. Actually, it’s not exactly current, as last night’s windstorm blew the tarp off the house. Yay! If anyone reads this, and has suggestions, comments or questions, please feel free to do so! *My horse has been enjoying the use of the stock tank for her water, and I’ve enjoyed the face that she can’t knock it over when stepping into it to drink. Yeah, Gaia actually stands in her water to drink, making a lovely, muddy mess that needs dumping daily. Why am I having this trouble? 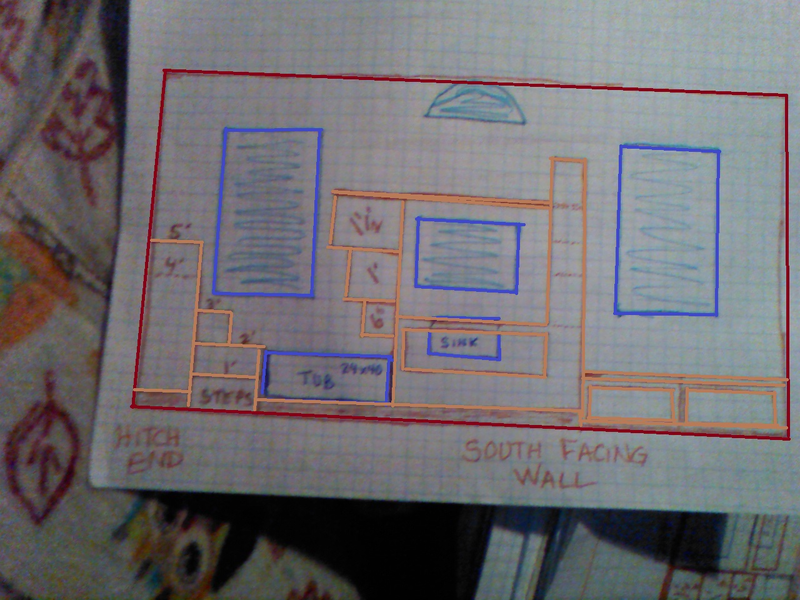 Drawn up a new set of plans. They are much closer to my original plans for the interior, and will work a bit better than the ones I recently posted. I’ll put them up here soon, but have other work that is more pressing. I have started physically working on Oliver’s Nest again this past week, the first time in a year (embarrassing but true). The first day went great! I’m currently affixing hurricane straps and other metal “hold down” bits to the framing. My new cordless Makita drill helped me power through perhaps half of the job, and I’m in love with it! Small, so it fits in my hands easily, and lightweight, yet packs a nice punch to those wayward screws. However. The second and third day of work, the screws revolted and won the battle against being placed securely. They would only go in partway, then spin like I was going through knots, even on clear lumber. What the heck? It’s been raining off and on. I’m wondering if rain-soaked wood is harder to drill into? Argh. I’m off to do battle again. I WILL live in this home by the end of 2014. I am going to discuss the 100 Things Challenge, a popular topic among Tiny Housers. If you haven’t heard of it, the idea is to reach the goal of owning 100 items or less. How you decide to count is up to you – some people count each. item. individually. and some group like objects (like clothing, or bedding). I’m not fully on board. See, I wish to live more lightly upon this earth through using fewer resources and by eating mostly local, in-season foods, among other things. I raise some of my own food with plans to raise nearly all of my own food eventually, mostly own used clothing, tools, and other non-consumables, and live by reduce/reuse/recycle in that order. But because I don’t own only the (arbitrary) proper number of 100 Things, I’m told that I’m “not doing it right”. Hmmm. I raise animals, and I need tools to do that. Not just rakes and shovels and such, but also first aid supplies, food and water containers, bedding, and clothing appropriate for working around the critters. I like to cook from scratch, so I need a more completely equipped kitchen than someone who mostly heats up prepared foods. 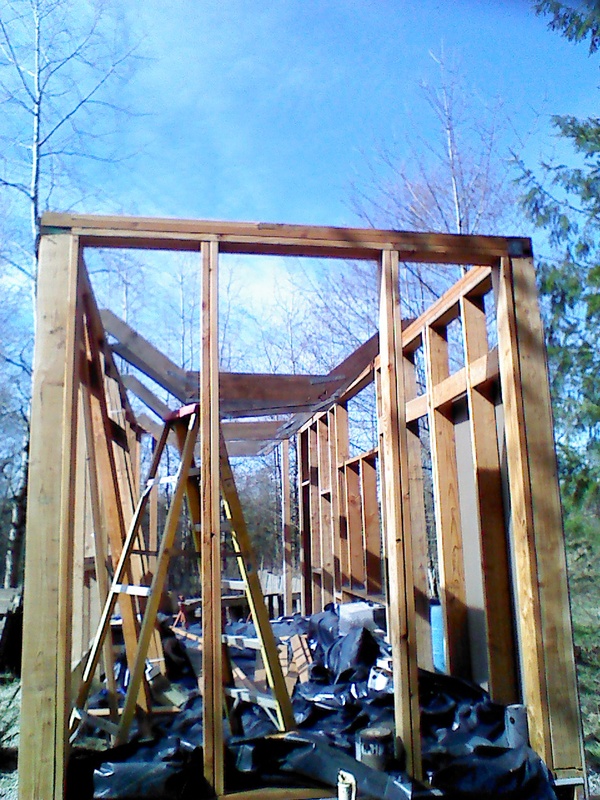 I am building not only a Tiny Home, but a future for myself off-grid on raw land, and need lots of different kinds of tools – and supplies to care for them like sharpeners and oils, and racks and containers to organize them. 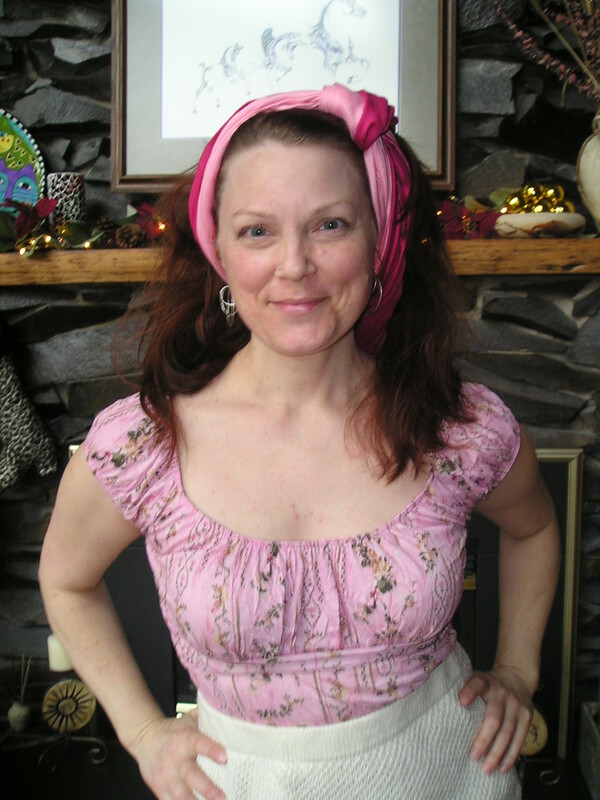 I have several hobbies that involve keeping lots of stuff handy, like sewing, jewelry making, candle making, gaming, riding (horses, my scooter, bicycles)….. Let’s see, I need multiple medications and health supplies…. See what is happening? The number 100 is long gone by the end of my list! I have a list of items I want inside my home with me. I have a limited amount of space to keep them. Logic tells me that I’d better make sure I have room for everything. 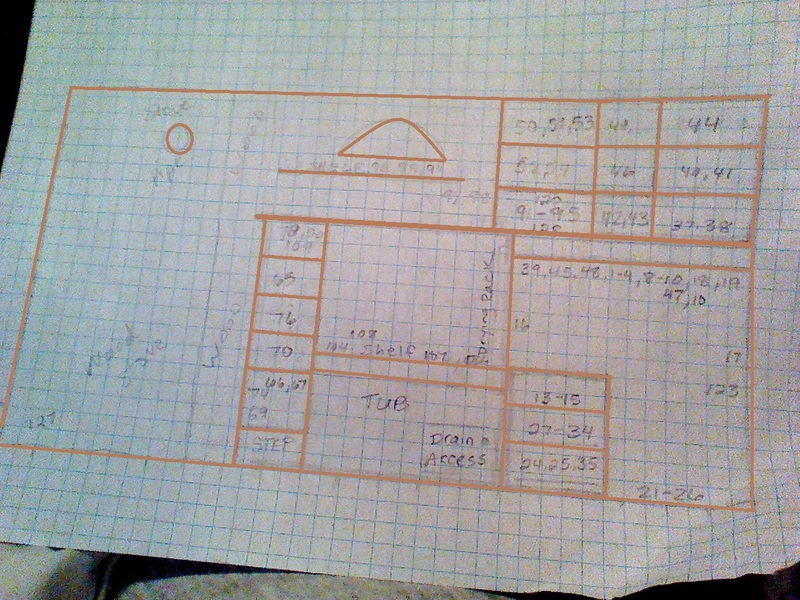 So I made a list and numbered each thing (or group of things, if more appropriate), and then wrote the numbers onto my interior plan. It has helped me know where I need to allocate more space, and where I can minimize. It also changed what I had thought to keep inside, as it became clear there isn’t enough room for everything I would like. My animal first aid supplies will have to be kept in the barn. I won’t be able to have all of my books in the house at the same time. Same goes for crafts and games. That’s ok though. I need a barn anyway, as well as a shop, a root cellar, and an equipment shed! Yikes! 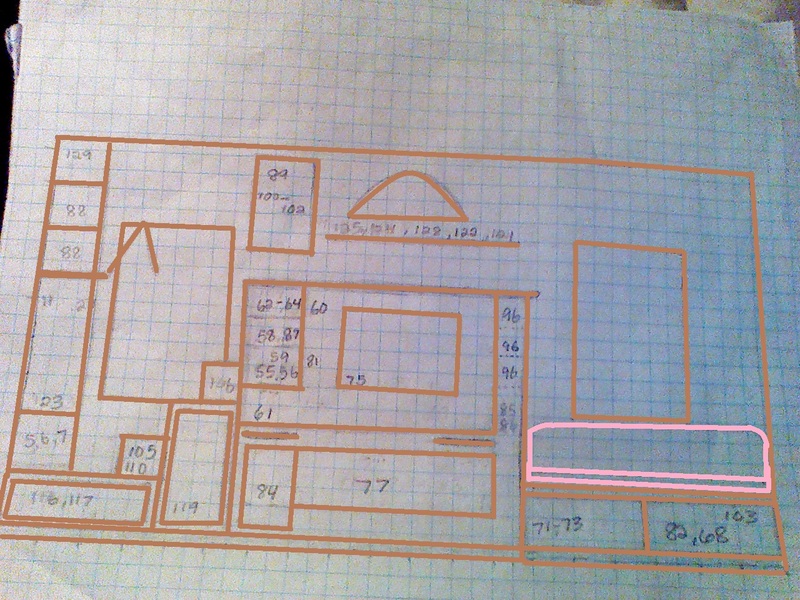 The pink thing in the upper sketch is the built-in couch. Every square equals 1/2 a foot. The interior dimensions are 19ft by 7ft. I’m short, so the loft is at 6 1/2 ft height. There will be 2 sets of doors – a narrow one on the hitch end, and french doors on the other end. Eventually I’ll have a wood burning cooking stove, but for now I have electricity so use a space heater. I have an alcohol stove for cooking. I’ve started working on Oliver’s Nest again! Woohoo for me!